– I know that I count and I act as though I do. – I spread warmth and love everywhere I go. This entry was posted in Thoughts on January 29, 2016 by Debbie Beaton. Meditation is considered an essential practice for those who seek self-knowledge and self-mastery. Why? Basically, meditation brings awareness of how our minds work. Over time, we become watchers, able to detach from the thoughts and emotions that play out in our minds. This entry was posted in Thoughts on January 27, 2016 by Debbie Beaton. “At center of head [heaven] and inside umbilicus [earth] seventeen [spirit] body function energy intermingles.” All Combined Energy-Timing blends the poles of Main Central with my individualized spirit. Herein develops a new generation of energies. Page 43 lists four of our 144,000 Special Body Function Energy. These great-great-grandchildren of Trinity reflect their Source, which is BREATH: ascending and descending, spiraling, expanding and contracting. When is All Combined Energy-Timing? I’ve often heard in class that each aspect of 12 Organ Function Energy becomes “leader” for a two-hour period of the day. Between 8:00 and 10:00 a.m., “WE IS STOMACH”. All the nutriments, the 11 other aspects of Organ Function Energy, and the body itself nourishes the Stomach Function Energy. During these hours Stomach Function is being absorbed into my total Being. Gazing at page 43, I wonder: is it through All Combined Energy-Timing that Stomach Function is absorbed into the total Being? Is 8:00-10:00 a.m. when Stomach Function comes home to the Main Central through the 2nd Thoracic? Mary says that each aspect of 12 Organ Function is sent to the solar plexus, cleansed, re-energized, and sent back to the body’s function. Is it through All Combined Energy-Timing that Stomach Function nourishes all 144,000 Special Body Function Energy, thereby nourishing every form and relationship of tissue? And when Stomach Function comes home through 2nd Thoracic, does it lead the other 11 Organ Function Energies with it? So many questions to enjoy, from one simple page! …and no need to understand. I can simply listen to the page and to the seeds of awareness (questions) which arise. Here, in 43, I learn that each Organ Function Energy is also leader of the manifesting of my Being during specific years of my life. Ages 1-3 all 11 other aspects of Organ Function Energy do their thing, giving their consciousness and light to Umbilicus Function Energy so I can receive, contain and BE the spark of Light on earth. Umbilicus (Capricorn) conducts the Spark from Heaven to Earth, from Blueprint to Body. It nourishes all relationships – and after all, aren’t tissue and form, simply, complex weavings of relationships! It is a feminine energy, cradling me from conception through age 3. Every aspect of this page gives a hint about the Being Umbilicus is building for me. Numbers 0, 1, 2, 3: No-Thing à All Inclusive à Duality à Relationship. …10:00, 11:00, 12:00. (Through another cultural lens, Umbilicus is experienced as 22:00, 23:00, 24:00.) The spark of Umbilicus Function comes home to Main Central at the reproductive organ: I am Created a creator. This is at the base of the pubic bone, where Eternal Life Energy (page 42, Text 2), LIGHT, “Becomes Extinct”. I see this ‘extinction” as a continual Big Bang, sparking both my personal Main Central and “Individualized” Body Function Energy, igniting Space-Time into transformation. This aspect of 7th Depth penetrates deep into the body above the upper lip and descends along the spine. Very young children know to explore their world (and to use self-help) by putting everything (including the finger of a Depth in need) into their mouth. Perhaps they are discovering their world via this 7th Depth flow, with the speed of light, nourishing and evolving the body (pelvic girdle) and mind (consciousness). Ages 0-3 Umbilicus Function Energy leads 12 Organ Function in the unfolding of my Being into the world. Within the circulation of years the unique Star I AM is built, reflecting the unique (“individualized”) manifestation of Universal Blueprint which formed me in the womb. This entry was posted in Jin Shin Jyutsu on January 26, 2016 by Debbie Beaton. This entry was posted in Thoughts on January 25, 2016 by Debbie Beaton. By the time Blueprint has developed up to page 43, Totality has differentiated into astonishingly specific aspects of Being: personality, consciousness, volume, place, shape, time, function, rhythm. Now, in 43 (7: Perfect Life Power) these aspects are blended – with one another and with Main Central – creating All Combined Energy-Timing. 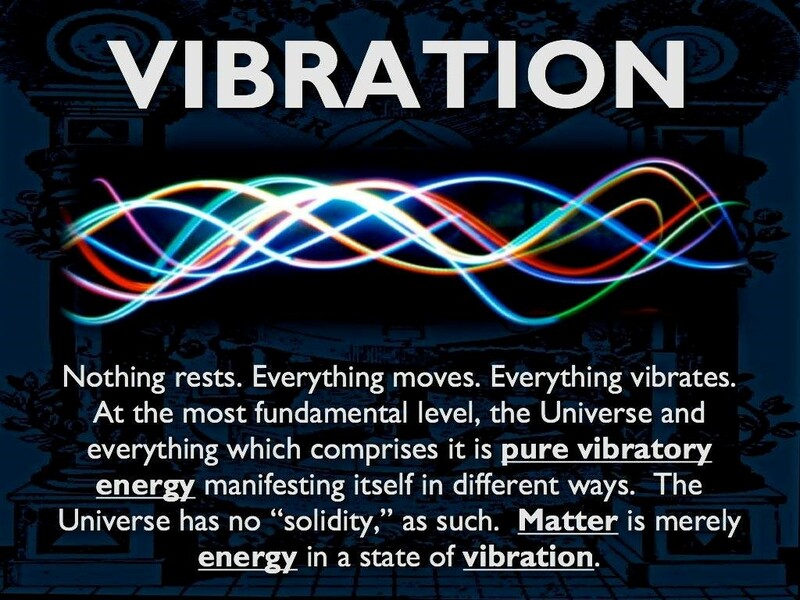 Within this new energetic vibration develops the Blueprint for what can only be a collaboration of all aspects of all the Depths: the functions (actions) and relationships of living tissues: nerve, flesh, blood, bone, etc. It is from within the ascending and descending breath of All Combine Energy that the 144,000 Special Body Function Energy is born. Yet 6th Depth, Desire to BE, extends the creation of All Combined Energy even further. On pages 60-61 of Text 2, I learn that manifested tissues (nostrils, brain, vertebrae, stomach, toes, etc.) serve as an instrument to invisible Energy, just as the organ does to its activator, the organist. Energy works within the body to transform matter (food and air) back into SOURCE: invisible energies (Compressed Oxygen and Liquified Grain Function Energies). These distillations nourish their ancestor: All Combined Energy. Within the vertically spiraling down of 6th Depth BREATH into matter, and the breaking up of matter into SOURCE (As above, so below. As below, so above.). All Combined Energy-Timing forms a moebius* spiral of the horizontal plane. I see this Energy on the “Answer Sheet” as the cusp of Lumbar and Sacrum, where the relationship amongst elements (manifested Depths) is blended into the evolving and developing of man. The manifested body reflects this horizontal moebius* as pelvic girdle and pelvic floor, a cauldron of life. Where is All Combined Energy – Timing? Each Aspect of 12 Organ Function Energy comes home to the Main Central at a specific location, as illustrated in page 43. My understanding is that their 5 relationship harmonizers (pages 36-41, Text 2) live as potential within each of the 12. Imagine a 12-tone scale in which each tone produces overtones binding it in varying harmonies to each other tone. (Many forms of music are based on such scales.) I, an individual, share capacity for varying kinds of relationships with each other individual. So these 5 relationship blueprints (which are simply grandchildren of the relationships given by Trinity: the functions of ascending and descending; blending and separating, source, SOURCE and LIGHT), bring their actions into Main Central along with 12 Organ Function Energy at each location given in the map of page 43. *The Möbius strip is the configuration space of two unordered points on a circle. Consequently, in music theory, the space of all two-note chords, known as dyads, takes the shape of a Möbius strip; this and generalizations to more points is a significant application of orbifolds to music theory. The Möbius strip or Möbius band (/ˈmɜːrbiəs/ (non-rhotic) or US /ˈmoʊbiəs/; German: [ˈmøːbi̯ʊs]), Mobius or Moebius, is a surface with only one side and only one boundary. The Möbius strip has the mathematical property of being non-orientable. It can be realized as a ruled surface. It was discovered independently by the German mathematicians August Ferdinand Möbius and Johann Benedict Listing in 1858. This entry was posted in Jin Shin Jyutsu on January 25, 2016 by Debbie Beaton.